It is one of Melbourne's most notorious crimes, and perhaps it's most infamous murder. A shocking act that gripped the city and triggered both a massive police investigation and a scandalous trial. The Gun Alley murder made legal reputations, changed the way homicide was investigated and, very probably, lead to an innocent man's execution. In the 1920's, modest housing was still a feature of the the Melbourne CBD. 12 year old school girl Alma Tirtschke lived in one such house, in Jolimont, with her 74 year old grandmother. Alma's father was a mining contractor who worked in remote locations (often in WA) and her mother had died of a kidney disorder when Alma was still young. She was a friendly girl and good at school, but also quiet and solemn, traits her peers attributed to her mother's unfortunate passing. Alma's most distinguishing feature was her vibrant red hair; long and straight, she wore it hanging down to the middle of her back. On 30 December 1921, Alma's aunt, Maie Murdoch, paid the Tirtschke household a visit. 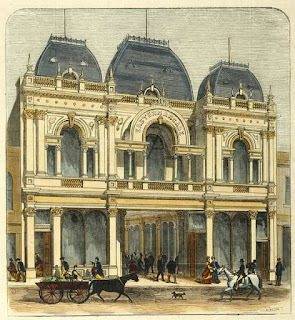 As well as catching up with Alma's guardian, Maie also had an errand for Alma to run; she was to go to the butcher shop on Swanston Street in the city, where Maie's husband worked, and collect a parcel of smallgoods which she was then to deliver to Maie's house on Collins Street. After the delivery, Alma was to return to her Grandmother's house, a round trip that was expected to take a couple of hours. Alma was a conscientious, sensible girl and the errand a simple one. Maie gave her money for tram fare as she saw her off just after noon. Nothing much was said as Alma was expected to be back shortly. Early the following morning, New Years Eve 1921, a man named Errington was scrounging for bottles in the eastern end of the city. Melbourne in the roaring twenties was awash was saloons and booze, and a living could be scratched by rounding up the empties from a big night and turning them in for recycling. The area around the Eastern Market - which stretched the block between Little Collins and Bourke, with frontage along Exhibition Street, where the Commonwealth Bank and the Department of Consumer Affairs is today - was a hub of nighttime carousing. The warren of little laneways and 'easements' (as dead end alleys were called) around the market was a good spot to search for empty bottles. waslost when the block was redeveloped in the 1970s. Around 6am, Errington moved into one of these small cul-de-sacs as part of his hunt; Gun Alley, which ran south off Little Collins Street. Near the end of Gun Alley, an unnamed easement ran eastward, providing rear access to the row of shops along Little Collins. A short distance down this easement, Errington was stunned to find the body of a dead, naked girl. Alma Tirtschke lay on her back with her legs bent under her, her broken body lying on top of a small drain cover. The investigation of Alma Tirtschke's murder was charged to two men, John Brophy and Fred Piggott, both senior detectives in Melbourne's elite Criminal Investigation Bureau. 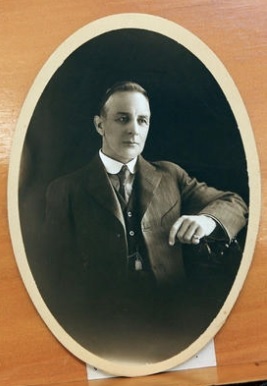 Piggott had seniority and was well known to the public, having been involved in solving several high profile cases since becoming a senior detective in 1919. The task facing the two men was immense. No witnesses to Alma's murder came forward and there was little in the way of physical evidence. Alma had been sexually assaulted and then strangled and the detectives quickly concluded that she had not been murdered in the Alley, as there was no signs of disturbance there, but moved post mortem. Her clothes were not found and her body appeared to have been washed prior to being deposited, removing any trace evidence and indicating the killer probably had privacy. A thorough search was conducted of all surrounding premises, lasting two days, but this turned up nothing. Complicating the investigation was the location of the crime scene. The Eastern Market area was thought of as a disreputable part of Melbourne; 'squalid and depressing' according to The Herald, and 'a haven for evil characters' according to The Age. Residents in this part of the city were suspicious of the police, and reluctant to cooperate with any official investigation. But the murder had stirred up enormous feeling across the city. Thousands flocked to Gun Alley to examine the spot where Alma's body had been found, and many hundreds of wreaths and other small tributes were laid. The brutal nature of the crime left the public in a state of shock. The local press stirred the pot, with the murder investigation dominating the headlines and many wild theories and accusations being put into print. As the investigation stalled in the days subsequent to Alma's death, pressure began to mount on Piggott and Brophy. People were afraid to walk the streets after dark. Progress was demanded. Justice needed to be served and a culprit located. And as the enormous amount of attention focused on Alma Tirtschke continued, witnesses to her last movements slowly began to come forward. Her striking red hair stuck in people's minds, and it was unusual to see such a young girl alone in the city, making her easier to recall. As the detectives pieced together the day she disappeared, their information would lead them to a dynamite suspect. Alma left her grandmother's house around 12.30 and was seen shortly afterward walking through the Treasury gardens, so it was assumed she had pocketed her Aunts tram fare. She reached her first destination, Bennett and Woolcock's Butcher Shop on Swanston Street, between Bourke and Little Collins, shortly after 1pm. She collected her parcel and left again around 1.30. 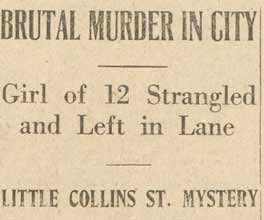 She was now meant to head to her Aunt's house on Collins Street, which a short walk along either Collins or Little Collins would have brought her to. But Alma did not go directly to her Aunt's house and what she did next is one of the great mysteries of the case. 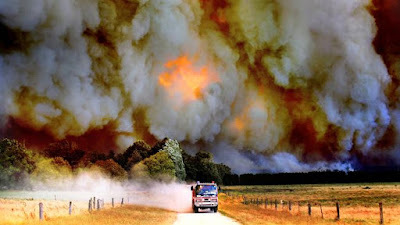 She was next seen at 2pm walking very slowly along the south side of Little Collins Street. She then turned onto Russell Street and made her way to Bourke Street, where she was seen entering the Eastern Arcade at about 2.30pm. The arcade was a pedestrian thoroughfare of small shops that ran between Bourke and Little Collins and had something of a seedy reputation. The owner of a saloon in the arcade, Colin Ross, reported seeing Alma pass by his establishment shortly before 3pm. She exited the arcade and, having nearly walked in a circle, was seen back on Little Collins Street, on the corner of Alfred Street, around 3pm. She was now a few hundred metres from where she had started, a journey that had taken her an hour and a half. What had she been doing? Why wander haphazardly around in a part of the city that she undoubtedly had been warned to avoid? That a number of witnesses also indicated that Alma looked 'agitated,' 'nervous' or even 'scared' only adds to the mystery. The last witnesses to see Alma alive were a young couple, Stanley and May Young, who saw her shortly after she left the Eastern Arcade. At first glance, all of the evidence regarding Alma's movements appeared puzzling, posing more questions then answers. But for Piggott and Brophy, it also provided what they considered to be key clues. 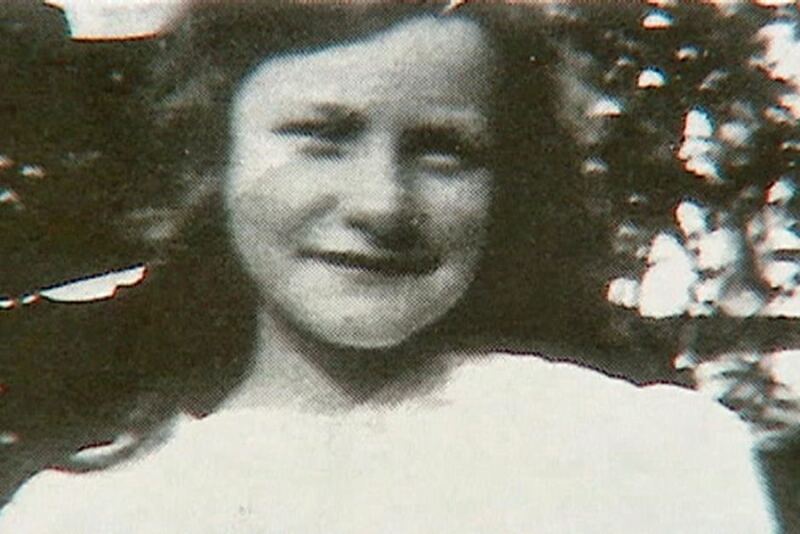 For one of the witnesses who had seen Alma Tirtschke was well known to police, and his criminal record and reputation were such that he seemed highly capable of such a vicious crime. Colin Campbell Ross was a burly, strongly built man of 29 who was something of a jack of all trades. He had left school at 11 and had worked in labouring jobs, until a bout of appendicitis in his teens left him weakened and unable to perform manual work. He then took a series of unskilled jobs in Melbourne and Sydney and spent the war years as a hospital wardsman. In April 1921 he entered into a business partnership with his mother and brother and they opened a saloon in Melbourne, with Colin serving as licensee and proprietor. The Ross' establishment, the Australian Wine Saloon, in the Eastern Arcade, was successful but quickly developed a poor reputation. It was known as a place where anyone would be served, regardless of how intoxicated they were, and Ross' business neighbours soon began to complain about drunks passed out in the arcade and other rowdy behaviour. The Ross brothers were not above liberating the contents of their patrons wallets, and then turning them out, if they were foolish enough to lose consciousness on the premises. The police kept a close eye on the saloon and were soon agitating for Ross' liquor license to be pulled. This was done after only a few months and the saloon was scheduled to shut at close of business on New Years Eve, 1921. In addition to being known to the police as the manager of a disreputable bar, Ross was also known to them in another capacity. 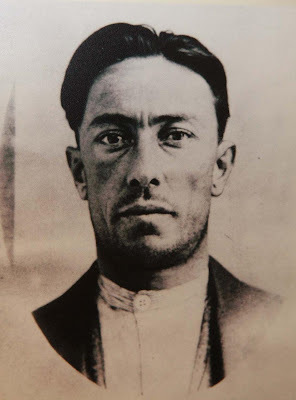 The year before, in May 1920, Ross had been arrested after he pulled a revolver on his girlfriend of the time, when she refused his proposal of marriage. Explained as the rash act of a heartbroken man, Ross had only been punished lightly; a small fine, a suspended sentence and a good behaviour bond. Nevertheless, it had put his name before the police and, later, would be taken as evidence of a defective character. Detective Piggott was certainly aware of Ross' record, as he started to zero his investigation in on him. Ross was questioned on January 5 and 6, but the questions were of a routine nature. A week later, with public opinion inflamed and the investigation stymied, Ross was elevated to chief suspect. He was arrested on January 12 and, after an interrogation that lasted several hours in which he admitted nothing, charged with murder the following day. At the time the charges were laid, the CIB had nothing more than some circumstantial evidence (Ross' record and his proximity to the spot the victim was last seen) and the suspicions of their head detective. Piggott intended to keep Ross in custody while he waited for more evidence to come forth. He would get more than even he had bargained for.